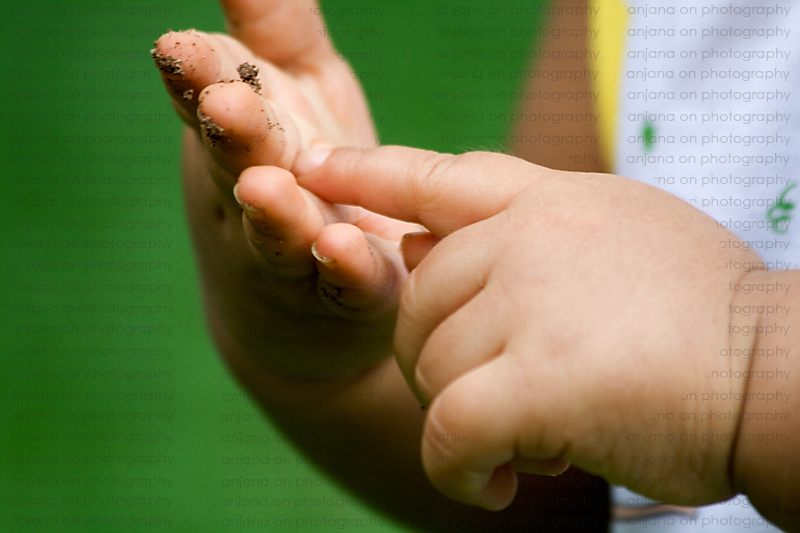 If you touch the grass, DO NOT put your fingers deep into the soil! Cos your fingers will look nasty after that! Mom's in general over-protect kids, and spoil them often by giving in to their tantrums, while dads let them explore,build confidence, and show who the authority is when necessary. Great photo and tag line Anjana.Is it your kid? Thanks for your comment buddy! Just seeing the snap,I knew it was your daughter :-).Nature-lover's genes right? Witty point.Thats true , but I believe sometimes kids need to touch the original earth to get answers out of their curiosity. Yep, that’s what I meant as well. You cannot compare the lessons you learn from nature with anything else. how did you get this shallow depth of field ? I've tried with wide shutter but didnt get the same effect. I was like 6 feet away from her and the background (some plants) was like 6-10 feet behind her. Distances of the background really make the shallow of depth of field. lol @ the topic. so true. my baby sister is very curious and my dad, me or my brother has to answer all the questions hehe. if I may, to answer the question on depth of field, you need to understand the 3 elements that affect DOF. aperture, subject to camera distance, subject to background distance. Depth of field extends approximately one third in front of your focus point and two thirds behind. This is the sole reason why you generally have to focus 1/3 of your frame when you are shooting landscapes, to get everything - both foreground and background - in focus. At very short distance as in this photo, the DoF will be smaller that if you were shooting a subject further away. So even if you are shooting at f/22, you will still get a very shallow DOF if you are very close to your subject. Google "depth of field calculator" and you'll find online DOF calculators and they may help you to understand this better. If you are using an iphone or an android, there are DOF applications too. btw, thanks for adding me on blogroll :) and I ordered the Sigma. will get it by 15th. Can't wait to try it. the lens is here. it's with my cousin now. I'm coming to colombo on 22nd to collect it. I went to Bandarawela and Badulla, came back home yesterday. too bad I didn't have my new lens to run some field tests lol.